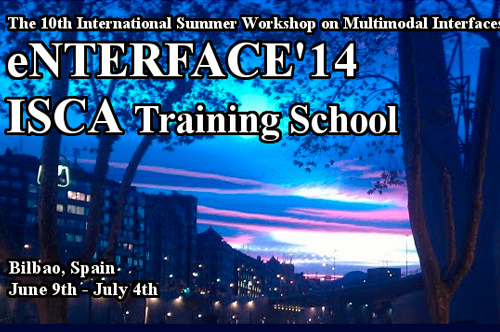 The Proceedings of the “10th International Summer School on Multimodal Interfaces” are already available! 1. Auracle: how are the salient cues situated in audiovisual content? attention behavior that a user has in a room? will select their team members among the applicants. eNTERFACE’14 is organized by the University of the Basque Country (UPV/EHU), and it will take place at the Faculty of Technical Engineering of Bilbao, Spain. Today a brief course of LateX has been given by our grant holder David Tavárez. He teached how to use a given template, compile the tex format, insert images in diferent formats and use of references and tables. In a few weeks all submitted papers by Aholab will be written using this tool. Tanja Schultz was visiting our laboratory during 16th and 17th April, with the occassion of her visit to Bilbao invited by Ikerbasque. In addition to the lecture offered at the ‘Alhondiga’, she also offered us the Talk “Silent Speech Interfaces” at the Faculty and Engineering, and we had the opportunity of a very interesting and enjoyeble discussions. The celebration party will take place at the beach in the near future (beach and date to be set). 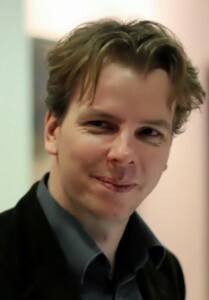 The next 19th of december Dr. Björn Schuller form Munich University of Technology will give a seminar supported by the TICRM Master called “Computational Paralinguistics: Emotion, Affect and Personality in Speech and Language Processing”. This course will take place in P3B2S lecture theatre of the school, from 9:00 to 13:00. The objective of this course is to give a comprehensive introduction and broad overview on recent algorithms and methodologies of “real‐life” speech processing, focusing on paralinguistic aspects.